Neem tree is called Azadirachta indica in Latin and is native to South Asian countries- grows in Semi-tropical regions of the world. 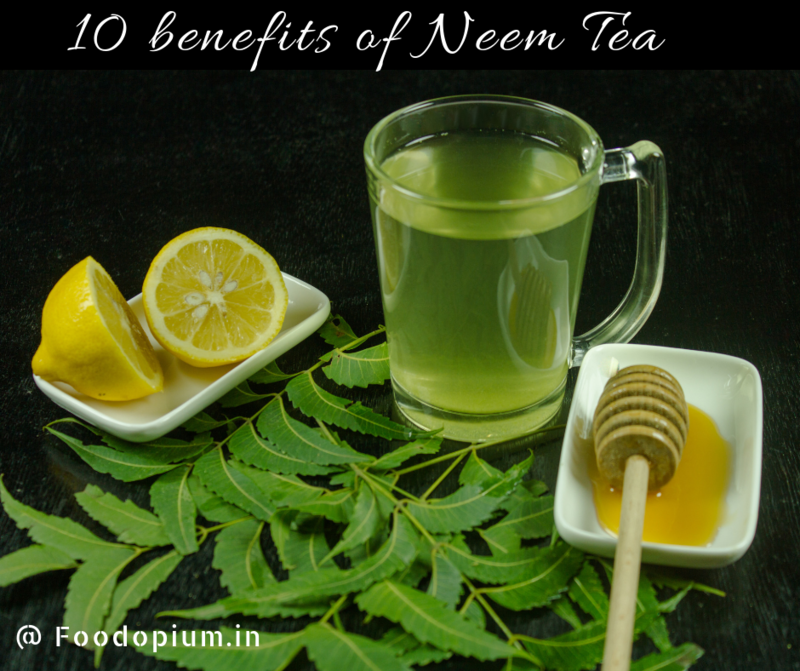 Neem Tea is a brew or rather an infusion use for healing purposes from ancient times, especially used in Ayurveda: a traditional Indian way of medicine and life. A bitter concoction, many times mixed with other herbs and spices to remove the bitter taste, to make it more palatable. Though it is used to treat a variety of illness, it is for you to research, learn and find out if it’s right for you. Read my article on neem especially my words of caution. Neem – Bitter is Better. How to make Neem Tea ? There are many ways to make this tea depending on what we use for the infusion. Below is one of the possible way. Strain the liquid. You can also refrigerate is for future use upon cooling down. add lemon juice – again optional. Cover it and then refrigerate it – for a day. The powder will accumulate in the bottom – remove the water from the top – the water is now your tea. Eliminates parasites. During aliment of cchickenpox– children’s and adults are made to bathe in neem water, in India. Neem has anti-inflammatory properties – hence helps in treating inflammations. Enhances oral health and maintains oral hygiene by treating bad breath and gum diseases. It is also used as a contraceptive – birth control medium. As per Ayurveda Neem is bitter and a cooling agent. On an emotional level, it supposedly calms, promotes introspection and helps in bringing hypertension under control. 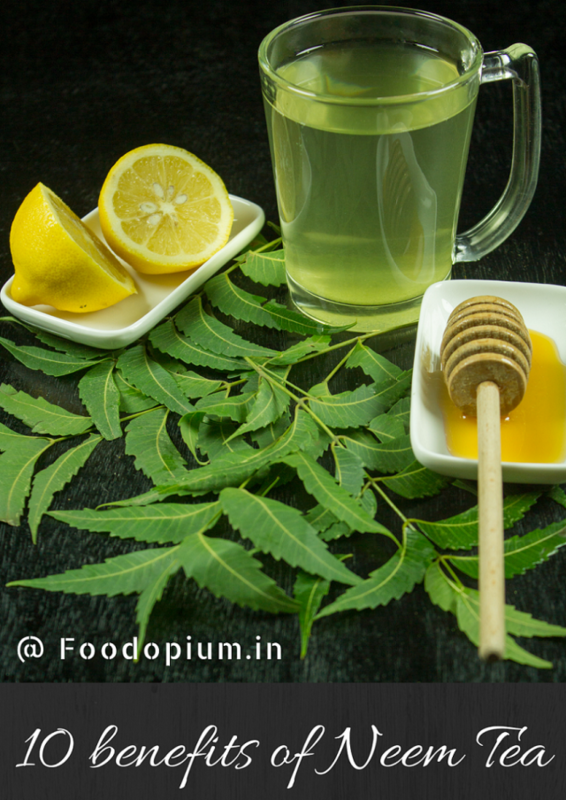 Though Neem leaves have been consumed by many for ages without any side effects – it is advised that this is to be avoided by pregnant women, new mothers, and small children. For this can clash with the medicines of pregnant women and needs a compulsory consultation with their doctor. This can cause serious side effects. It is considered to be a natural contraceptive, effects the sperm creation and thus reduces fertility. Avoid if you are trying to get pregnant. Best to avoid this if undergoing specific treatments or have a disorder or diabetes or has had or is planning for organ transplants or any surgery. Drinking too much Neem Tea or drinking it over a prolonged period of time can cause damage to liver or kidneys. Consult your doctor before you embark on new adventures. I have done my research – Done that & drunk it too. Plan to continue doing so. But you should do your own research – find out what works for you and what does not. Consult your doctor and proceed. Neem has many advantages – it is natural, and its benefits are immense. It is definitely not to be ignored. Like this & Share it. And get educated. Nature is bountiful in its glory. Really healthy tea recipe you shared here…In Ayurveda, Neem is a key ingredient in different medicines to cure fatal health diseases. For instance dental and skin problems. Thanks for sharing such a healthy recipe with us…!!! Good to know that you liked the post on Neem Tea..!